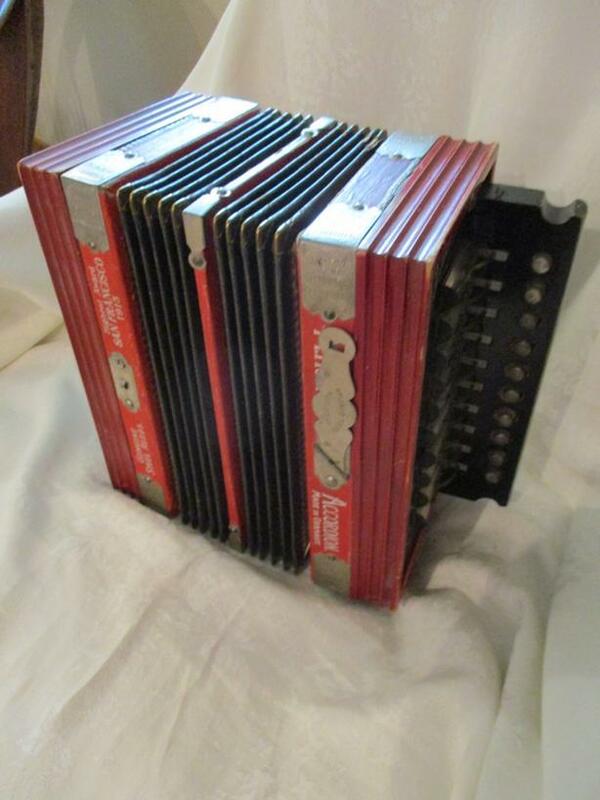 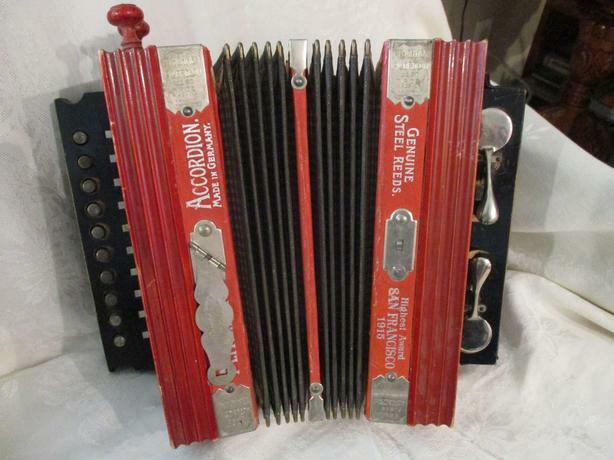 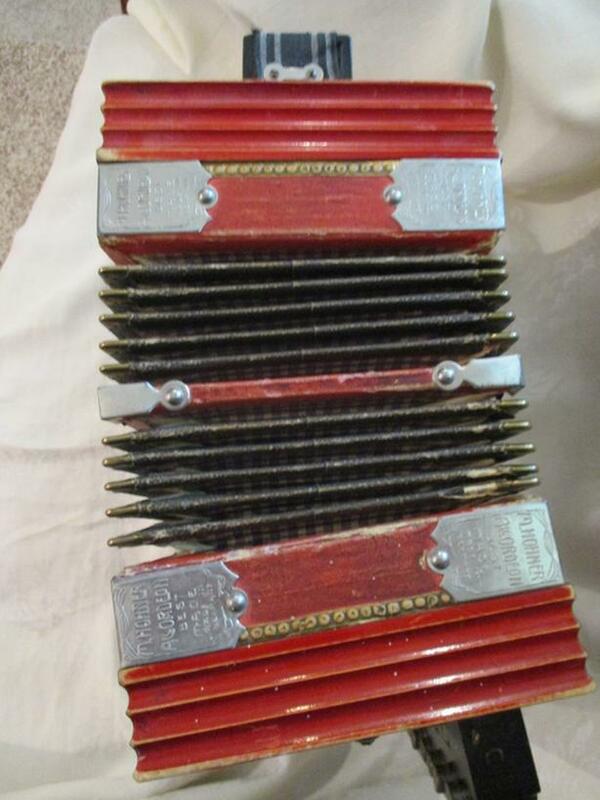 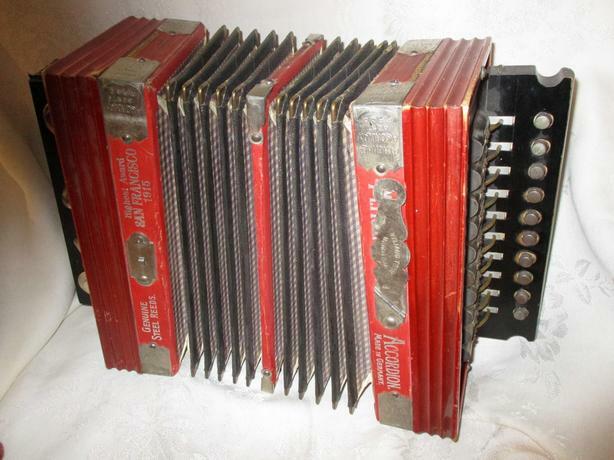 THIS HOHNER ACCORDIAN BELONGED TO GREAT GRANDFATHER AND HAS BEEN IN THE FAMILY FOREVER. 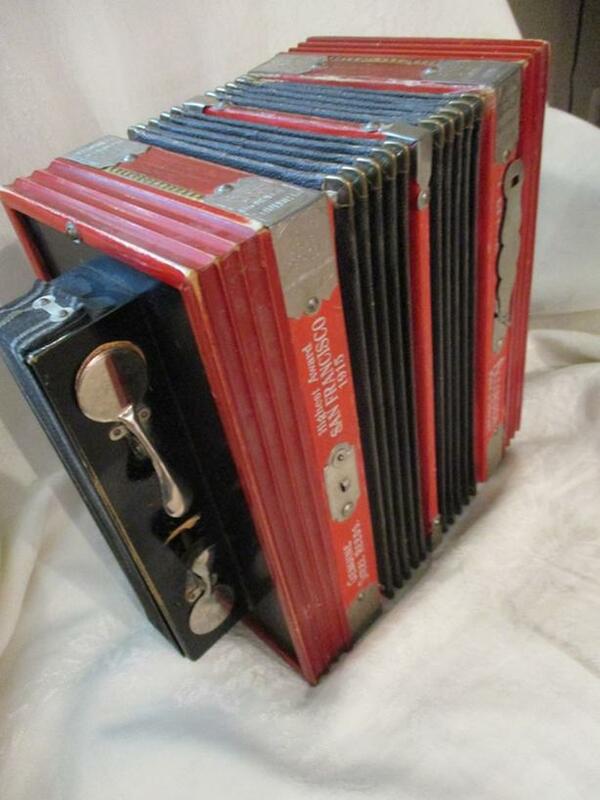 IT HAS 10 BUTTONS FOR ONE HAND AND 2 FOR THE OTHER HAND. 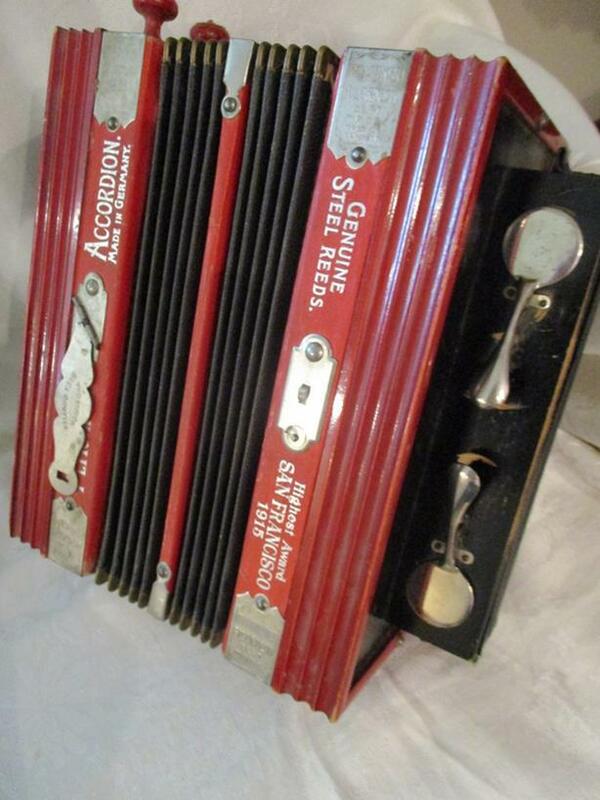 IT HAS GENUINE STEEL REEDS. 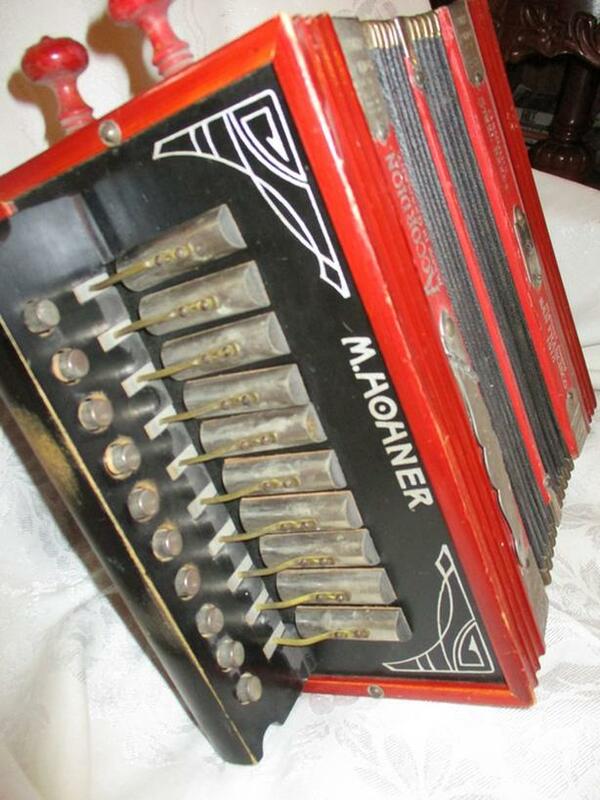 IT GOT THE HIGHEST AWARD IN SANFRANCISCO IN 1915. 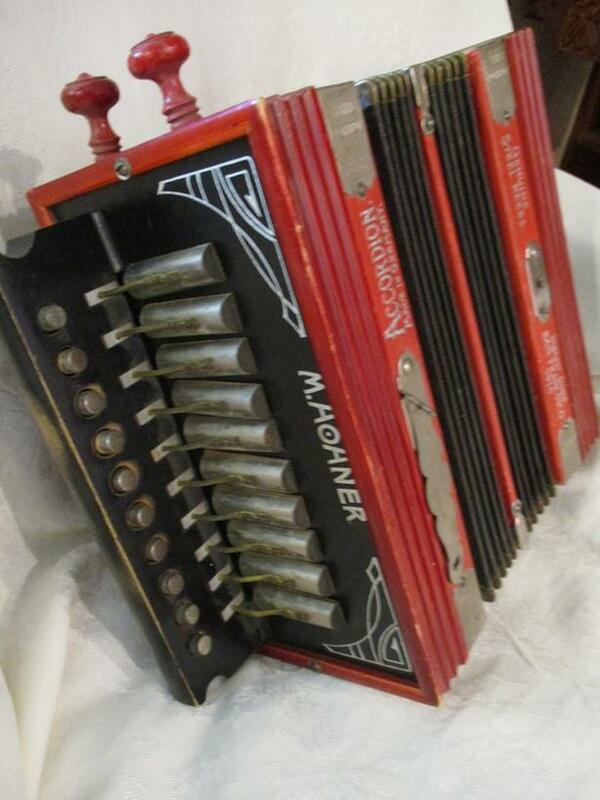 IT IS A HOHNER ACCORDIAN BEST MADE IN GERMANY.